/ What are the Best Safety Razor Blades for Sensitive Skin? While using a double edge razor seems old fashioned, they are getting a comeback recently especially with how men who regularly shave claim that these razors can provide them a better shave without spending too much. While finding the right razor can already be a long process to identify which one can work best for you, finding the right blade refill can also be as difficult. Why use Safety Razor Blades for Sensitive Skin? Finding the right blade depends on you, your hair type, how often you shave, and your preferences. While finding the sharpest blade is what individuals look for, there are those who don’t need a very sharp blade especially if they do not have thick and coarse hairs. Some others look for a blade that can last longer and provide them more shaves than others. Still, some others need a blade that won’t harm their skin especially if they have sensitive skin that is prone to cuts and nicks. Finding the right safety razor blades that is safe for individuals who have sensitive skin is important since this will prevent razor bumps and cuts from occurring. In this article, we will discuss three of the best double edge blades for sensitive skin that can provide you the best shave that you ant while letting you save money along the way. 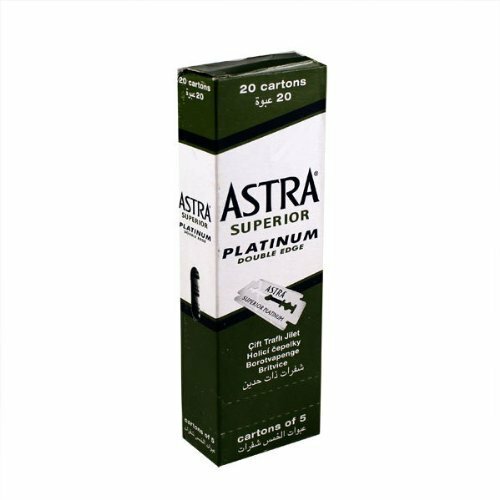 The Astra Superior Premium Platinum Double Edge Safety Razor Blades is one of the best and high-quality razor blades that are made in Russia by the Gillette brand. These blades can be used with any double-edged safety razors so you will no longer have to purchase a razor if you already have one. The Astra blades are made of high-quality steel that is platinum coated so they can last long to provide you with a bigger number of shaves. Furthermore, each blade is sharp enough to provide a smooth and clean shave. Users who use this blade to refill their razors produce great results without experiencing razor cuts and nicks. These razor blades can work perfectly with either an aggressive razor or beginner razor type. Depending on an individual’s hair type and how often you shave, one blade refill can last for up to 10 uses. The Feather Razor Blades New Hi-stainless Double Edge are made by the Feather Company in Japan and are one of the best and sharpest double edge blades sold in the market nowadays. These blades can be used with any double edge safety razor from any brand so you can use this as your refill if you already have a razor at hand. Users of the Feather razor blade find that they can use this blade to shave even a couple of day’s hair growth without problems. One thing that individuals who are new to using double edge blade for shaving is that it can become too sharp to use so it is recommended not to apply heavy pressure when shaving. 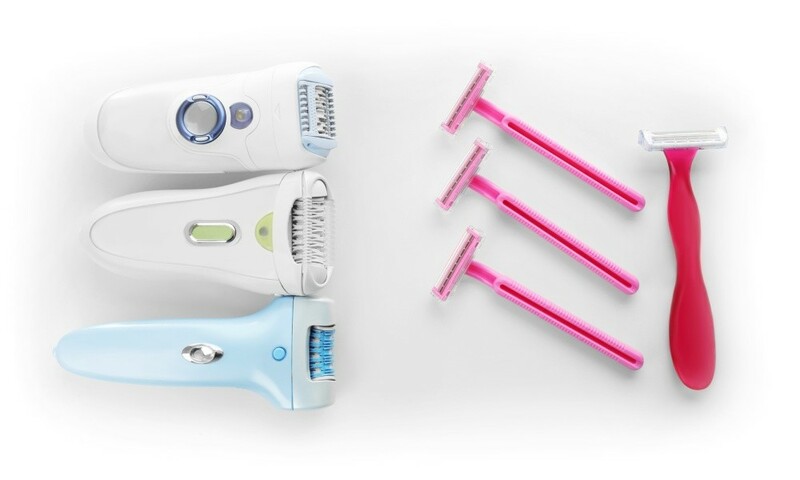 Users claim that each blade refill can last them from up to 10-15 shaves so they won’t need to constantly change and replace their blades. In addition, since the blades can last longer, you can save money on refills since each purchase of a 100-piece blade package can already last you for more than a year. Each blade is individually wrapped so you can store them for months without fear that they can get rusted all over. 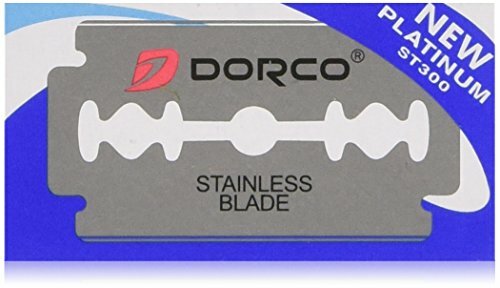 The Dorco ST300 Platinum Extra Double Edge Razor Blades are stainless steel blades that are platinum covered to provide the cleanest and closest shave with a double edge razor. Manufactured in South Korea, these blades are capable of cutting all hair types, textures, and thickness. This blade brand is best for beginners who are starting out in using a double edge blade razor since they are not as sharp as other blade brands. As such, accidental cuts and nicks are prevented from occurring even when your hands are still not used to using a double edge razor. Finding the right double edge razor blade refills for your regular shaving routine can be quite difficult. This is especially true especially since there is a wide array of brands of double edge razor blades that claim to provide the best shave that you need. All three safety razor blades are proven to provide clean and close shaves because of the high-quality materials used with each blade. This makes the three blades last long and shar enough to cut hair smoothly and easily. Which is the Best Safety Razor? Given the three double edge blades reviewed above, both the Feather and Astra brand are great for individuals who are particularly looking for a very sharp blade which can provide them fast and easy shaving. However, the Dorco brand is great for individuals who are only starting out with using a double-edge razor and are still training their hands on how to handle this type of razor and shaving process. In conclusion, choosing among these three blade brands lay on your actual preference and your expertise in wet shaving. Those who have sensitive skin should choose the right blade type that won’t cut their skin especially if they are still inexperienced in using a double edge razor.